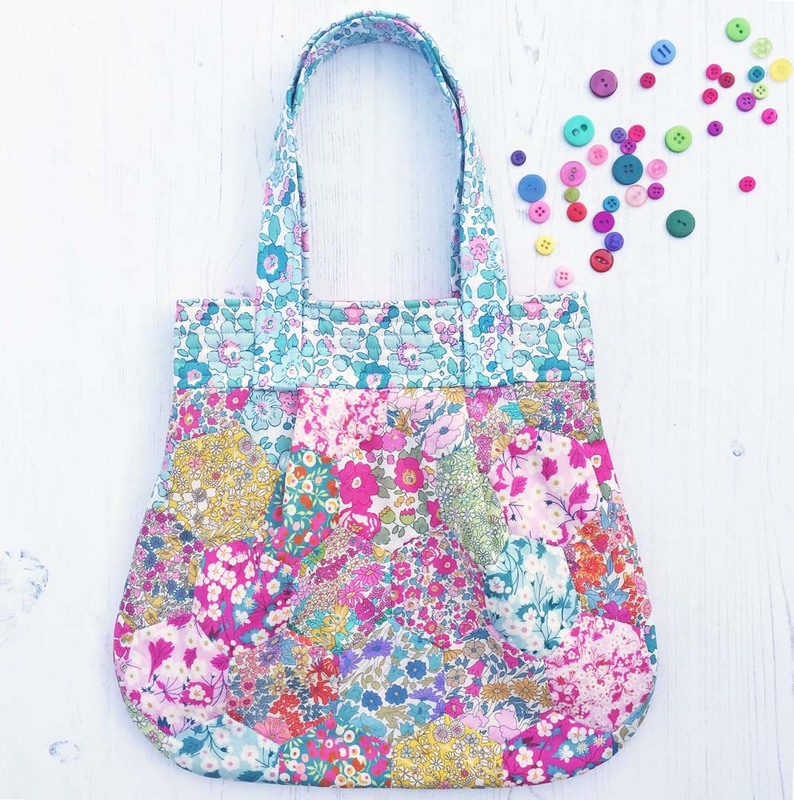 Awesome Sew-Together Bag – Liberty Love! 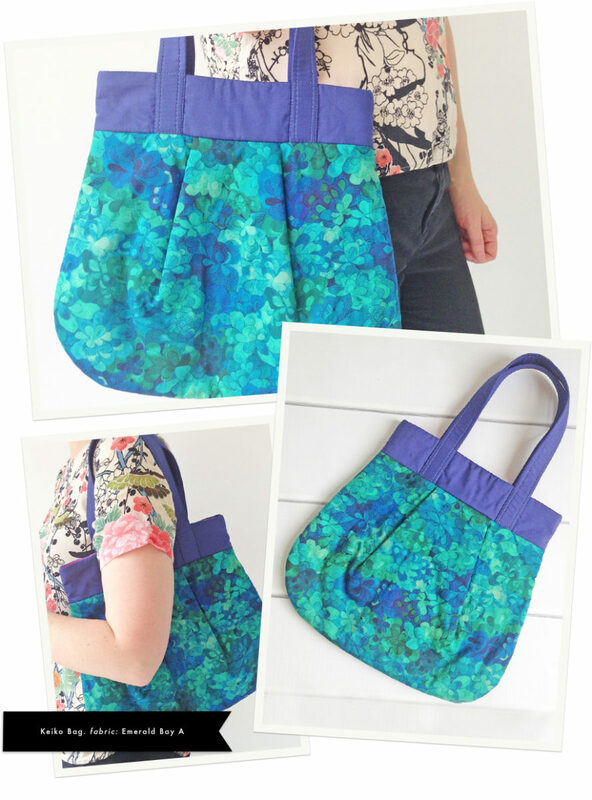 Read moreAwesome Sew-Together Bag – Liberty Love! 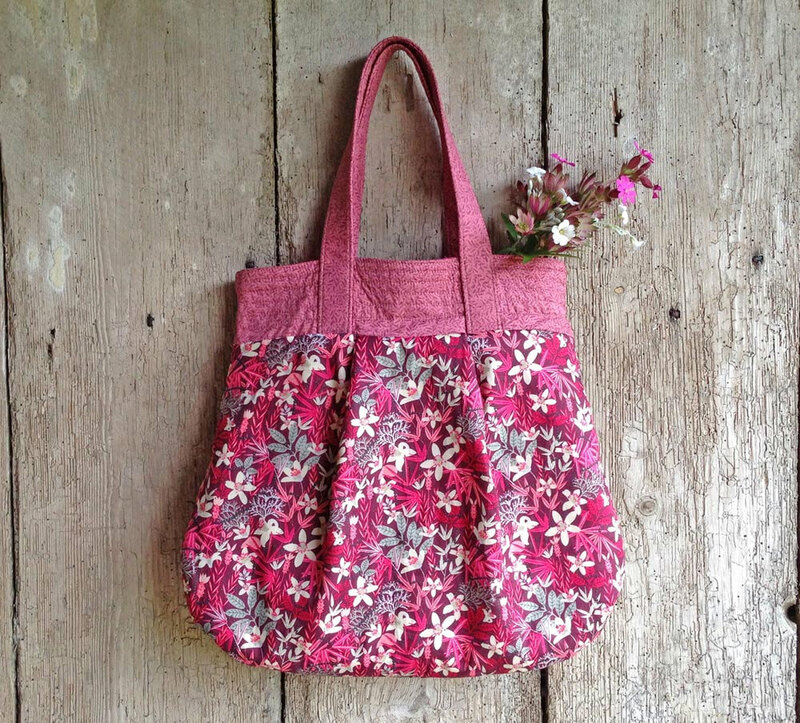 We have a new bag pattern – our beautiful Katherine bag. 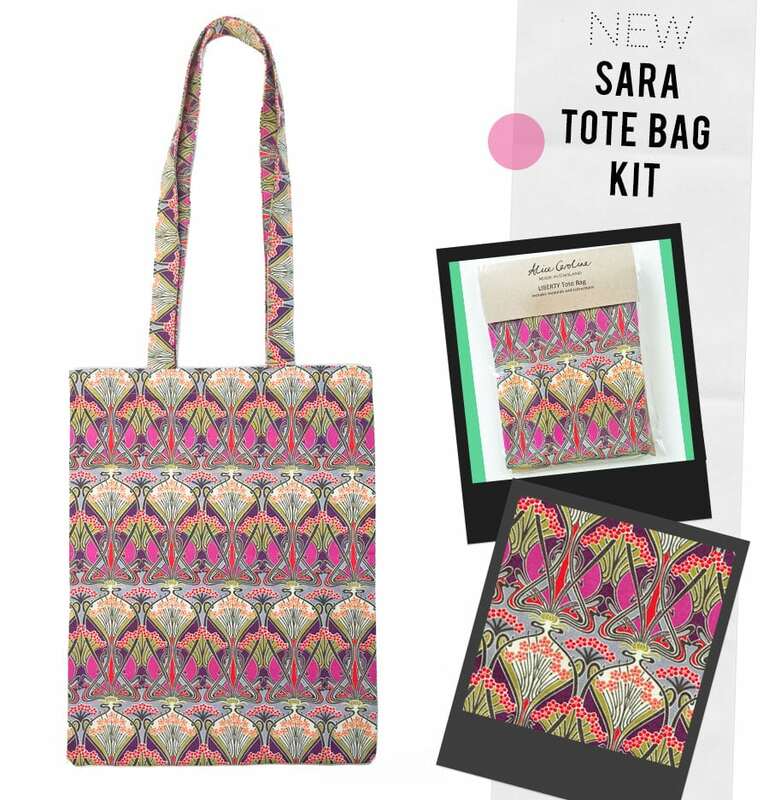 Versatile and big with a handy internal pocket, can be worn in two different ways. 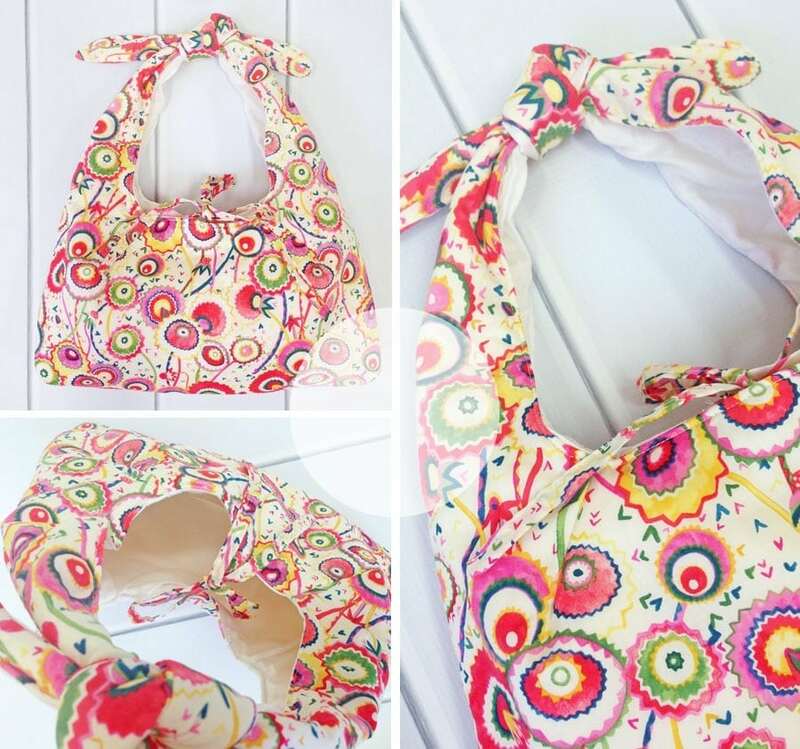 Easy to follow, fully illustrated instructions which take you through every step from how to put the patchwork together, through quilting, to sewing the bag together. 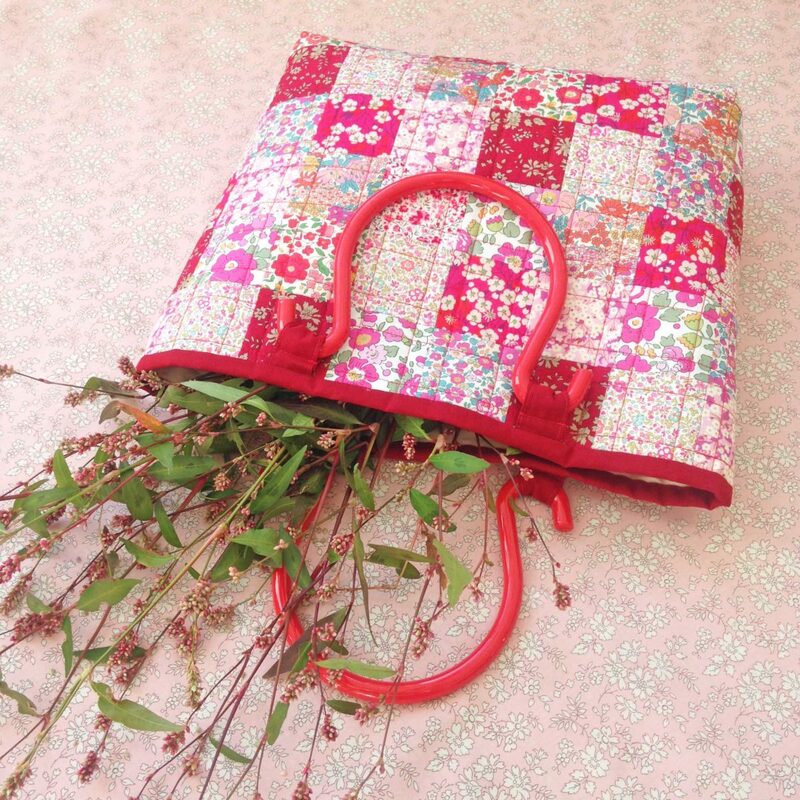 Lovely detail of a row of patchwork inside the top of the bag. 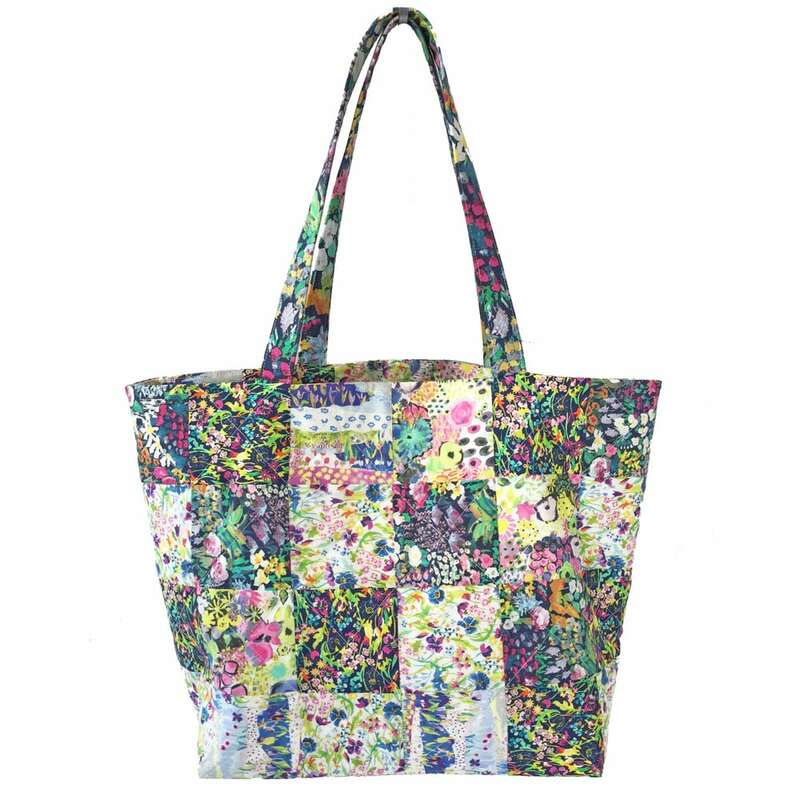 Finished size: top width: 18″, bottom width: 12″, depth: 6″ Buy the pattern for instant download here. 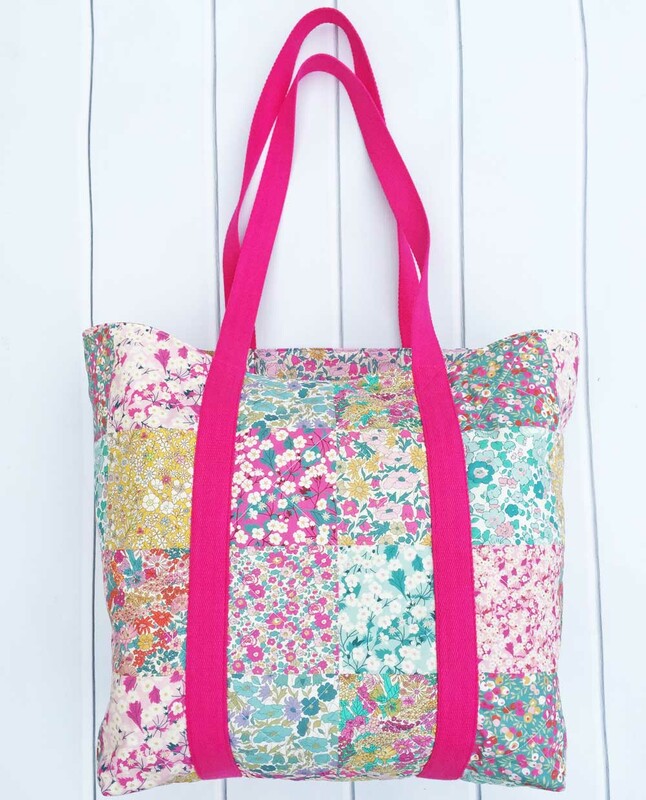 You can also buy all the liberty fabric needed for the Katherine bag here.